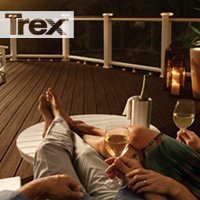 We definitely “like” all of the attention generated for the Trex Facebook page as a result of the “Summer Comfort” Sweepstakes! In just four weeks, the sweepstakes drew more than 300K entries and the brand’s fan base grew by 25%! We’re looking forward to seeing photos of how the four lucky sweepstakes winners show off the beautiful, durable Trex Outdoor Furniture on their decks and porches. And – after a short “summer vacation” – we plan to launch another exciting sweepstakes to continue growing the Trex Facebook community and increase user engagement!